Sure, every pregnant woman packs a hospital bag and stocks up on newborn essentials, but what about the postpartum essentials needed for MOM after giving birth? Since I’m pregnant with my third baby now, I went ahead and created a “postpartum essentials kit” with everything that I’ll need during recovery. Here’s what’s inside. The first time I was pregnant, I had NO IDEA that postpartum essentials even existed. When I got home from the hospital, my husband had to run around to our local drug store, grocery store, and baby store while I stayed home alone with our newborn. Since I’m pregnant with my third baby now, I know better. I think a postpartum essentials kit is a must-have for every pregnant woman though. And it would make a great gift for a pregnant friend! Earth Mama Angel Baby Mama Bottom Spray! 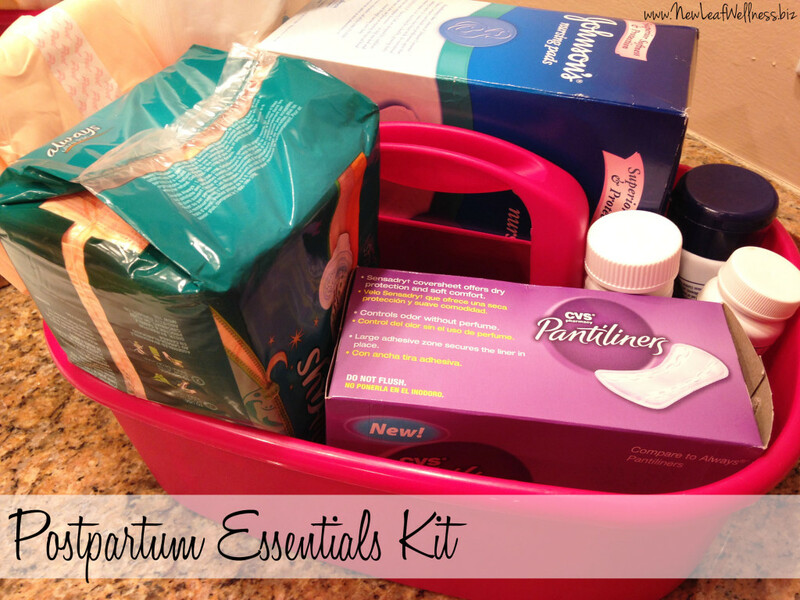 If you’ve given birth before, do you agree with my postpartum essentials kit? Anything that you would add? Thanks so much! I really appreciate you taking the time to share your thoughts and experiences. Prepping some freezer-to-crockpot soups is a great idea! This is brilliant! I will share this with my clients and friends. Thanks for posting these lists. I’m pregnant for the first time is there anyone that can tell me the reason for the items in the kit. I’m so clueless any info would help. Thanks in advance. I’m surprised you didn’t include a perri bottle. We don’t have a birthing center anywhere local, but I do use the local nurse midwives for my pregnancies. I’m expecting #3 right now too, and I’m glad to know that my local hospital gives out new mom recovery items very similar to what you listed. I don’t know what I’d do without a perri bottle though! Great addition! I think I got them at the hospital and midwife center, but definitely a “must-have” to have on hand after giving birth. Congrats on your pregnancy! I made these but used witch hazel with alcohol….will they sting? Any one else use them? I’m not sure. I did a quick search online and it looks like witch hazel with alcohol is commonly used to calm skin irritation so I think it will be OK. Since I’m not an expert I’d be scared to test it though. 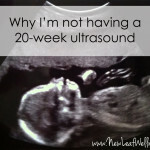 Can you ask your OB/GYN or midwife?